Stephen King's "IT" - general non-furry discussion - Furtopia | Family Friendly Furry Forum and IRC Chat! Anybody else here a Stephen King horror fan? Anybody ever read the book IT ? I've read the book and watched the old 1990's movie miniseries. Both were pretty good. Granted, I'm not really into horror that much, if at all. But Stephen King is a rare exception. The new rebooted IT movie is already out in cinemas and according to reviews, it looks to be pretty good. I'll wait until it comes out on DVD though. Pennywise the Clown does look a lot more creepy in this new film. The only other Stephen King work I've read and watched the movie of, is The Tommyknockers, which was also pretty good. Huge Stephen King fan here. I have almost all his books and have seen most of the movies and miniseries put out. I've read "IT" and saw the miniseries also and am thinking of heading to the movies soon to see the remake. Another good miniseries is "The Stand" they did a very good job on it and is definitely worth a watch. If course the novel is better but in my opinion I havent seen a movie based off a book that is better than the book. While the movies in their own right were ok their adaptation from the book was absolutely terrible were. "Desperation" and "The Running Man". If you have read the books the movies are not worth it really. Some of my favorite books of his were The Bachman Books in which "The Running Man" was part of. I could go on all day on this but for now I need to get to work. Yeah, riiiiiiiiiiiiight, Varg. Somehow, I don't think an alligator is going to do much, if any, harm to IT. From what I remember in the book and the 1990 miniseries, IT is some sort of inter-dimensional or other worldly being. It is probably my favorite book. I'm dying to see the movie but social anxiety tends to keep me away from movie theatres. And, yes, I just got done with rereading the book and Pennywise is some ancient Eldritch abomination type thing. It can take any form but it's preferred form is that of a clown. It's true form is revealed to be a giant spider. But that is only because it's the closest thing to what it really looks like that the human mind can comprehend. Those who see it as it really is or looks into it's "deadlights" is driven insane or goes catatonic. 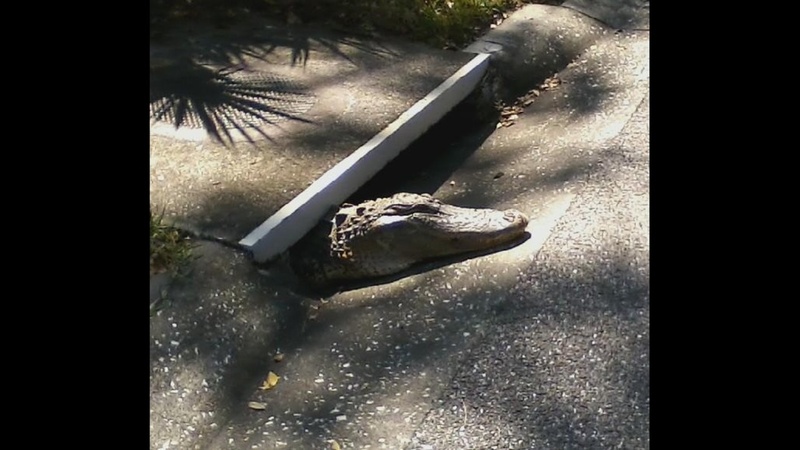 So, yeah, an alligator would be about as much a threat to Pennywise as a baby cockroach would be to a human. A syndicated morning show just produced a radio parody sequel about Pennywise' girlfriend...She-It. Exploits every possible colloqualism on that S-bomb. So watch your step.